In a nation as large and diverse as the United States, it’s not surprising that health care costs vary by region. What is surprising is that higher spending doesn’t buy better care. That’s the finding of Elliott Fisher and his colleagues. 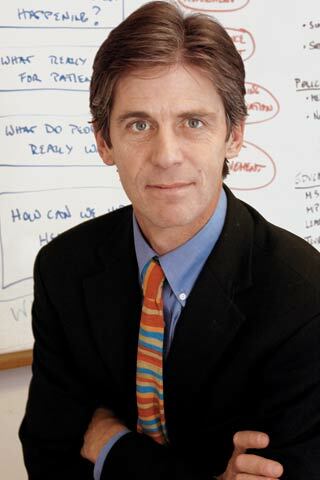 Fisher, a professor at Dartmouth Medical School in Hanover, N.H., and co-director of the VA Outcomes Group at the VA Medical Center in White River Junction, Vt., was recently named director of the Dartmouth Atlas Project, which analyzes regional variations in practice and spending for the Medicare population. In July, Fisher’s team announced a partnership with the Brookings Institution, the Washington, D.C., think tank, to foster policies that improve health care while controlling escalating costs. Q: It’s not hard to guess which Atlas Project finding surprised you most. A: Right, that despite a twofold or threefold cost difference, people in high-cost areas such as New York City and Los Angeles are less likely than those in Rochester, N.Y., or Portland, Ore., to receive important treatments such as angioplasty, mammography and cholesterol-lowering drugs. Q: What accounts for the higher costs? A: The difference in spending is almost entirely due to greater use of discretionary services. Patients in high-cost areas see their physicians more frequently, are more likely to see specialists, spend 70% more time in the hospital and receive more minor diagnostic tests, imaging and other procedures. Q: Could the concentration of elite medical schools and teaching hospitals in high-cost cities account for some of the difference? A: Patients at teaching hospitals with the most expensive practices—such as UCLA and New York University Medical Center—have no better outcomes than those at low-cost centers. At UCLA it costs $72,793 to take care of seriously ill Medicare patients in their last two years of life. At the Cleveland Clinic, the average cost is $35,455, with no discernible difference in results. We’re looking into why that is.